For the first time in the history of the SCIA User Contest, this ninth edition – “The Art of Structural Design” – introduces a new contest prize for which everyone will be able to vote on any number of their favourite projects. Separate from the nominations in the four contest categories and the prize of the jury, this “Prize of the Public” is organised by a voting system on SCIA’s Facebook channel, independently of the jury gathering. 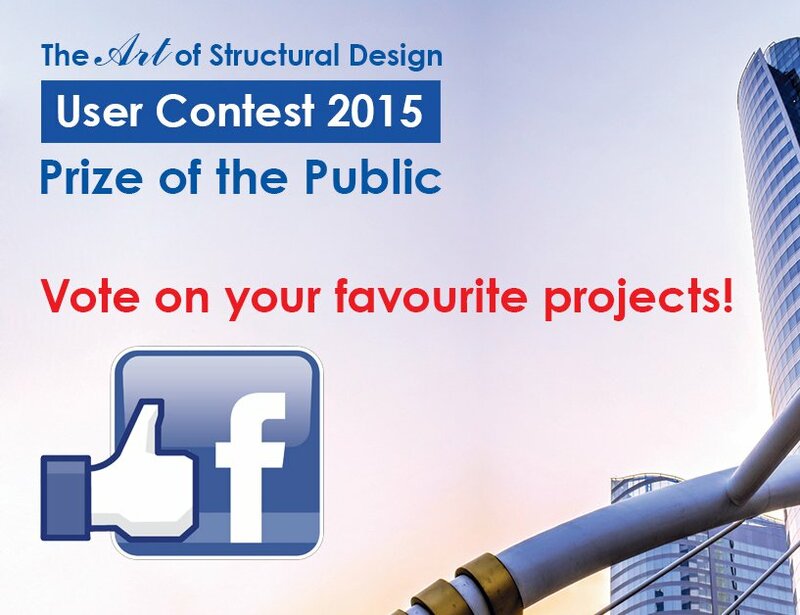 From now on until July 6th, we invite you all to visit our dedicated Facebook page and vote on all your preferred projects by clicking its ‘vote’ button. The winner, having received the most votes, will be awarded a money prize of 1500 Euro and will get special attention in the next SCIA User Contest Book that will be available at the end of September this year. If your company is participating, then we wish you all the luck and please do share this page to invite all your peers to vote on your firm’s participating projects. Vote now on your favourite projects!